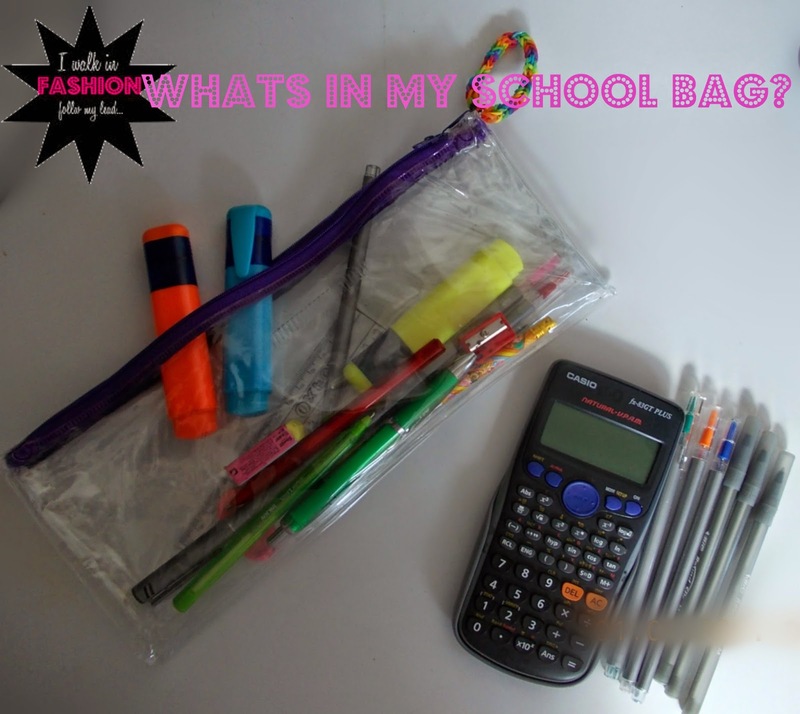 As the majority of us are quickly approaching the new school year (or have already done so) , I thought it may be useful to give you some ideas of what kinda things you should be carrying in your school bag to help you survive school! 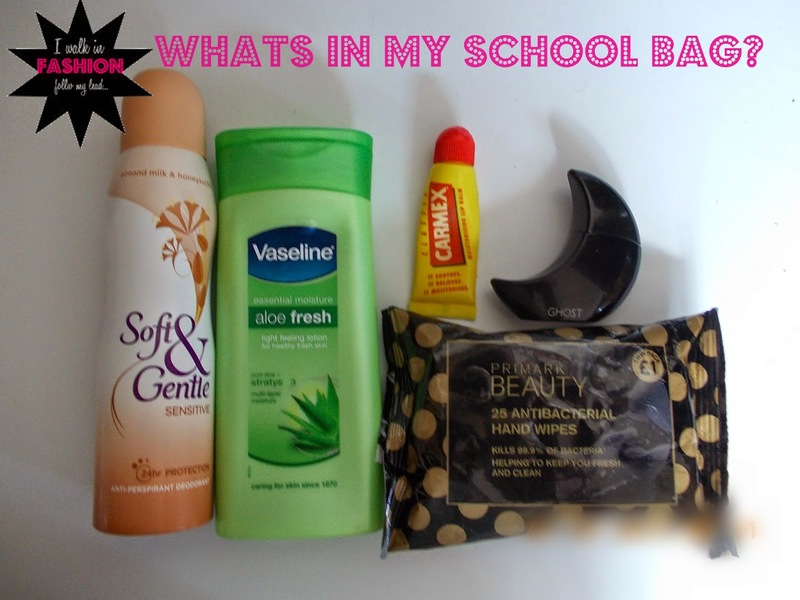 These are my must have essentials to keep me looking and feeling fresh whilst I am going about my day. Hand cream: I have found this cream ridiculously useful throughout the year. Its small packaging allows easy transportation as well as its deeply penetrating formula which leaves your hands super soft and ready to overcome any essay. Carmex: Especially as we are approaching the colder months , lips balm is almost vital to carry around to prevent dry chapped lips. My favourite is carmex as it leaves your lips tingling fresh as well as moisturized. Antibacterial wipes: School is a place full of people which may make it a breading ground for bacteria . These wipes come in handy especially when the cleaner forgets to top up the soap in the toilets. Perfume & deodorant: I always carry around some form of scent just to freshen up when needed. I specifically love this small compacted Ghost perfume as it is very light and easy to carry around. Note book: This is absolutely vital for those who are prone to getting homework detentions. It allows you to keep track of all homework set in addition to events and reminders. I promise you , you'll never get a detention again...well maybe just 1 or 2. Reading book: The journey to and from school can get a tad boring especially if you live far away so I like to carry around a reading book with me to read on the bus. Yes you may look like a geek in the corner reading a book in the bus but at the end of the day , its you gaining the knowledge. Purse: Its always a good idea to carry around some change for things like lunch money and snacks. Pencil case: A pencil case is key when going to school which some people amusingly forget. I always find having more than one pen very benefiting just in case one runs out and for the less organised pupils. I also take coloured pens just to make my notes a bit more interesting and enjoyable to read. Watch: This also prevents you from getting detentions as you have no excuse to be late to class! Phone(s)? : Now your probably thinking "why two phones?" but I have a really good excuse. You know those times in assembly or in the corridor when your phone rings and a teacher is trying to confiscate it? well having two phones allows you to keep your real phone and give the teacher your old phone. (mwhahahaa) Smart isn't it! Keys: To prevent me from being locked out of my house after school...again. 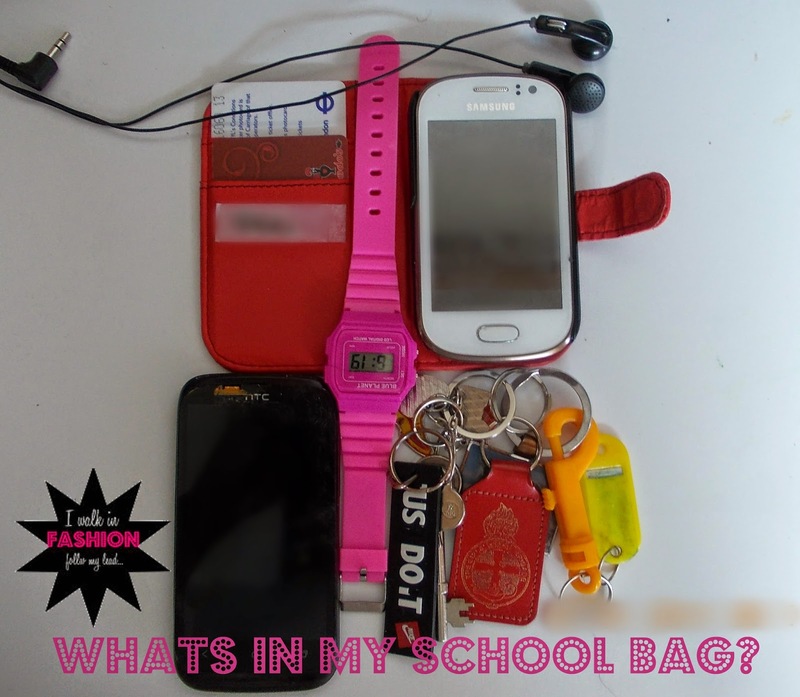 What kind of things do you carry with you? If you're wondering what I've been doing in the nearly two weeks that I haven't blogged here, head over to www.commerciallyaware.co.uk. 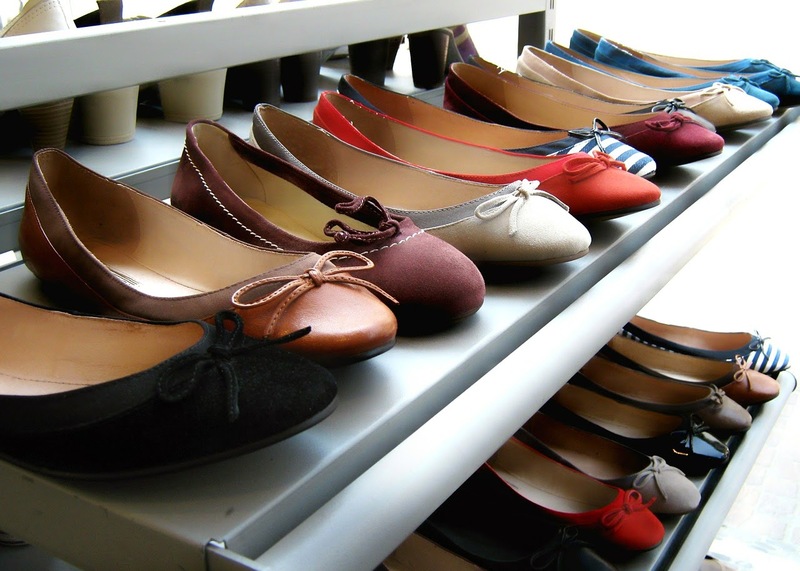 It's on the complete opposite end of the spectrum to I Walk in Fashion, but I'm actually quite enjoying researching and blogging on topics that I start off knowing nothing, or very little about. If you know any budding lawyers, please be sure to share Commercially Aware with them! 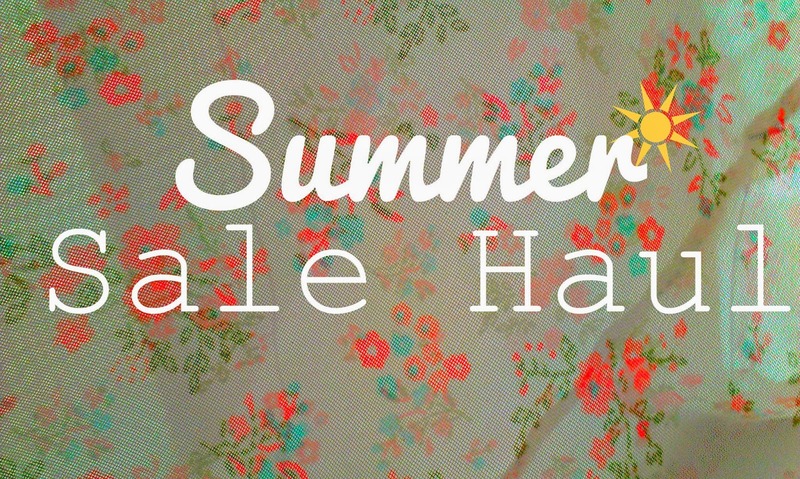 I thought I'd share some recent sale buys with you today. I've actually bought far too much, but narrowed it down to my favourites. Firstly, I have to admit, it's difficult to find different thrifty tips tricks and deals each week, so Thrifty Thursdays may have to be a more 'as-and-when' thing, rather than a weekly thing. I hope you don't mind. This week however, I have found something BRILLIANT for you - again, courtesy of my beloved 10 Ways. 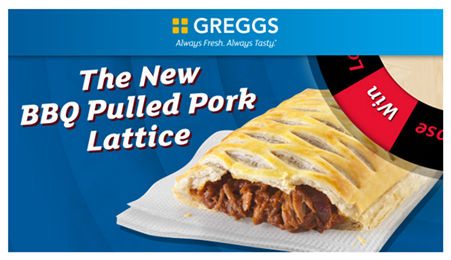 How would you like a free BBQ Pulled Pork Lattice from Greggs? ©Copyright 2014 IWalkInFashion. Simple theme. Theme images by merrymoonmary. Powered by Blogger.